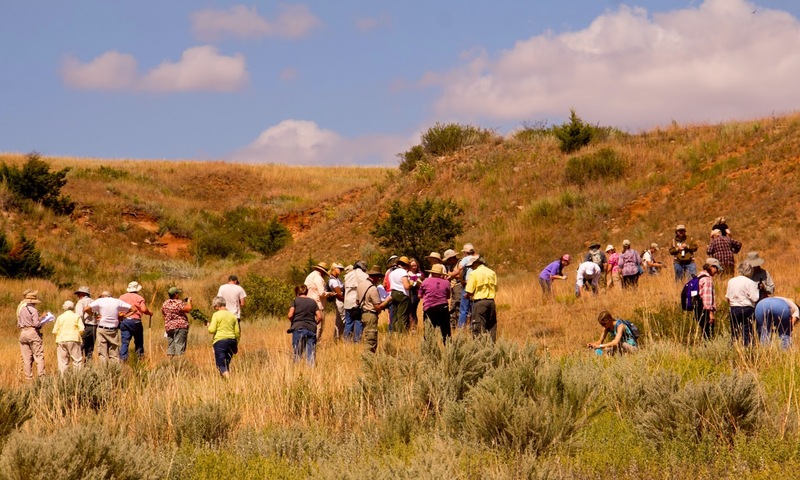 Members of the KNPS and other attendees spread out in the Red Hills to identify and enjoy native plants and wildflower legends of the fall. Sand Lily is the showiest fall flower of the Red Hills. This flower opens late in the day and was a particularly special treat for the KNPS prairie enthusiasts. Craig Freeman, Senior Scientist with the Ks. 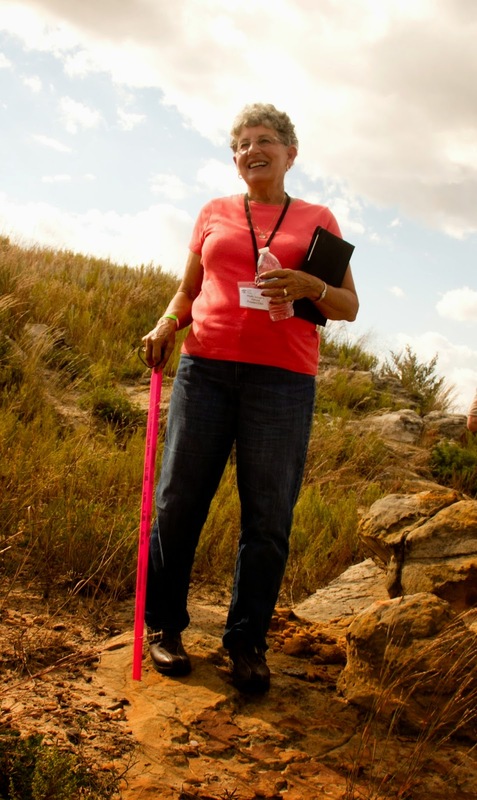 Biological Survey, (left) was on hand to share expertise with participants. 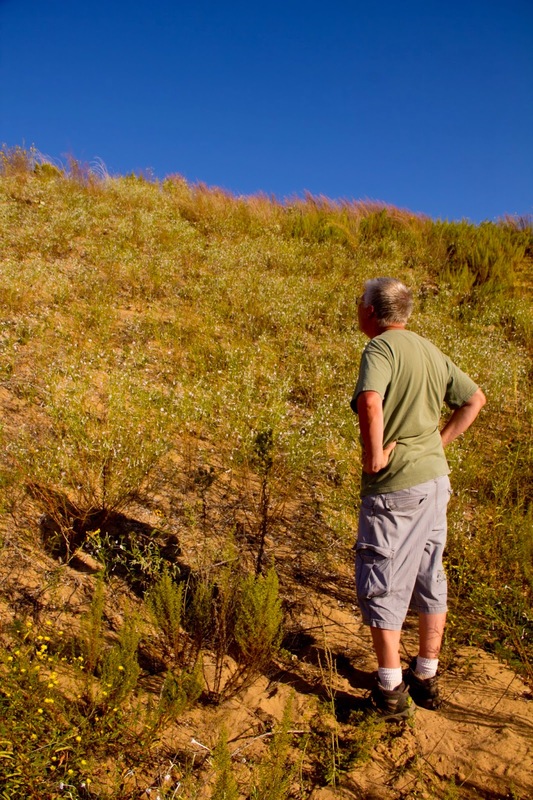 Jeff Hansen admires a whole hillside of White-flower Ipomopsis, a rare sight. 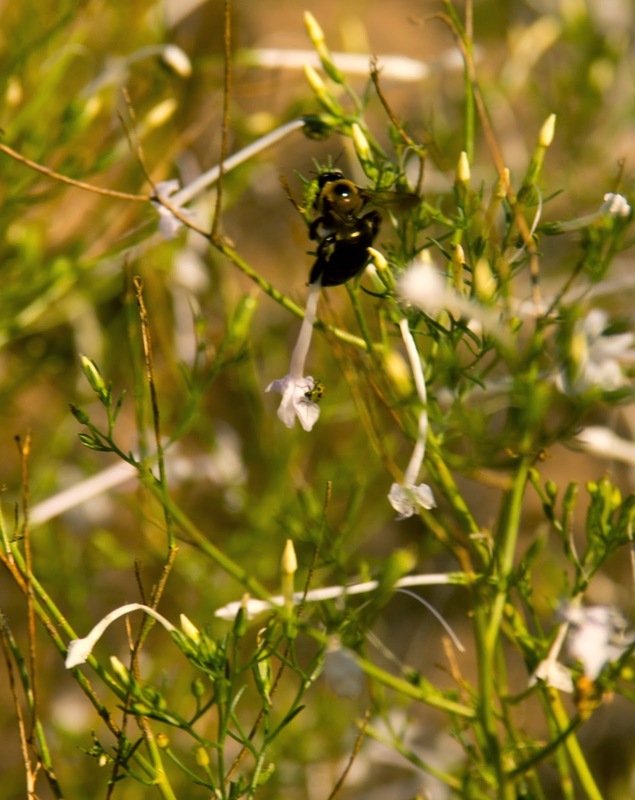 A Carpenter Bee enjoys nectar from a White Flower Ipomopsis bloom. 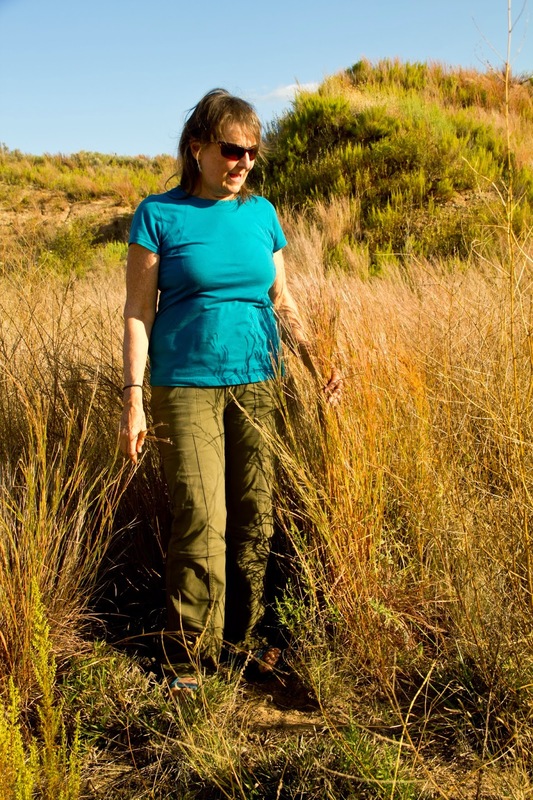 Lee Ann stands among very healthy Little Bluestem, the official state grass of Kansas. 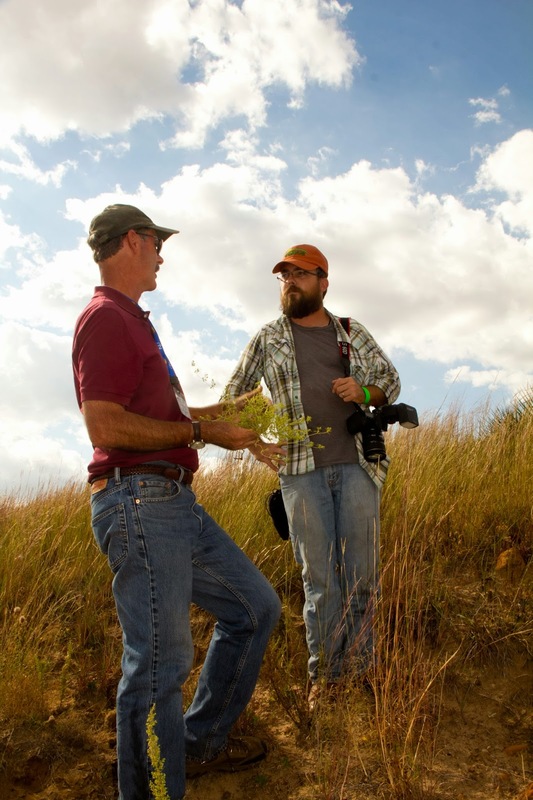 Because of excellent summer rains, the Red Hills prairies are as robust as ever and rebounding from three years of drought conditions. 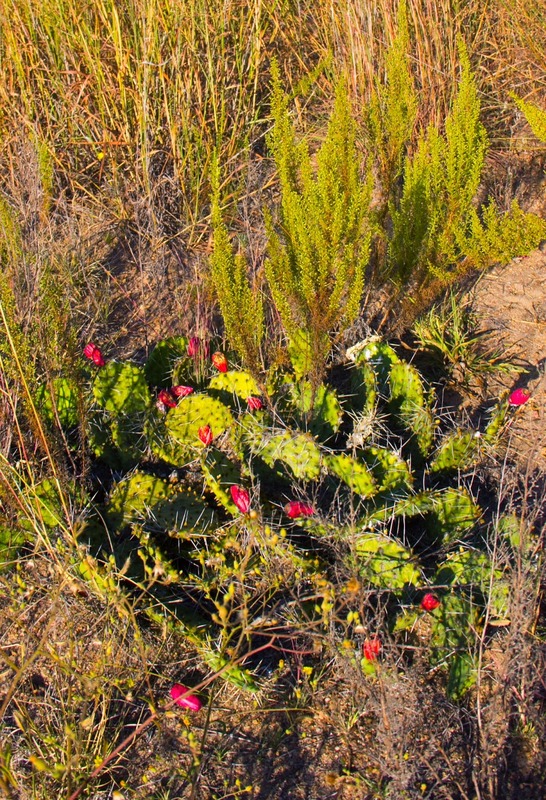 Demonstrating that fall beauty in Kansas prairies can be found even beyond the late-blooming flowers, Prickly Pear Cactus fruits stand out as beautiful adornments. 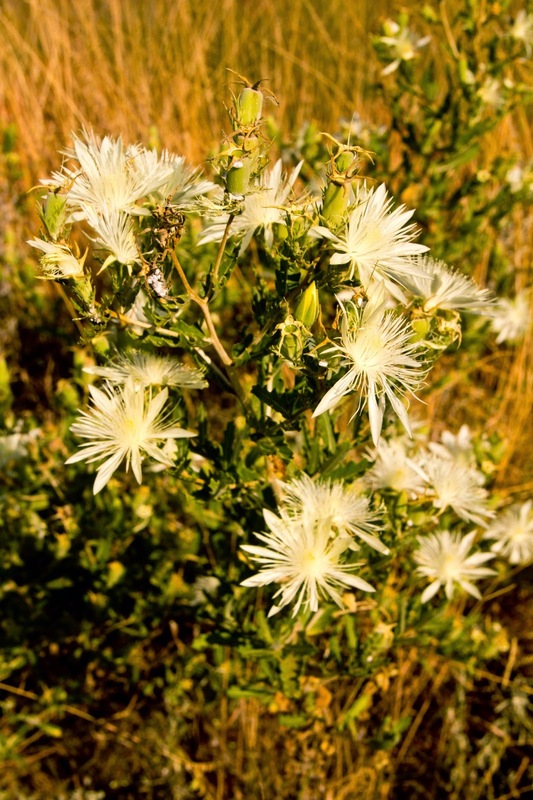 Dotted Gayfeather is one of the prettiest of the fall bloomers in the Red Hills and other prairies and roadsides in Kansas. It was very prevalent at the field trip sites. What did you say that plant was?! Phyllis Scherich is the next President of the KNPS and was the primary leader and organizer for this event. Thanks Phyllis! It was a very enjoyable weekend...and particularly fun to catch up a little with you and Iralee, and to meet so many others who enjoy learning about our beautiful wild things. Was great to see you too! Glad you could make it down here.